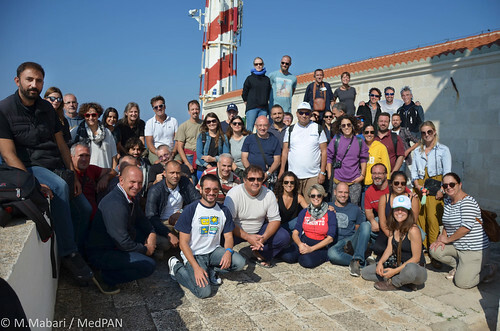 The training gathered close to 60 people, managers, scientists and other MPA practionners, from 14 Mediterranean countries. It was held in association with several partners and pilot sites within the framework of the large Mediterranean programme of the MAVA foundation and Interreg Med FishMPABlue2 project. This MedPAN network training was embedded with the “FishMPABlue2 Toolkit transfer regional training course”, which is a deliverable of the FishMPABlue2 project. The training course focused on lessons learnt from pilot projects and was organised in modules related to different components of the toolkit. It also featured concrete practical exercises for MPA managers to understand how the process could be implemented in their site.